Jeremiah MacKinnon, a student in the class, is cofounder of the Cannabis Society of Mass. 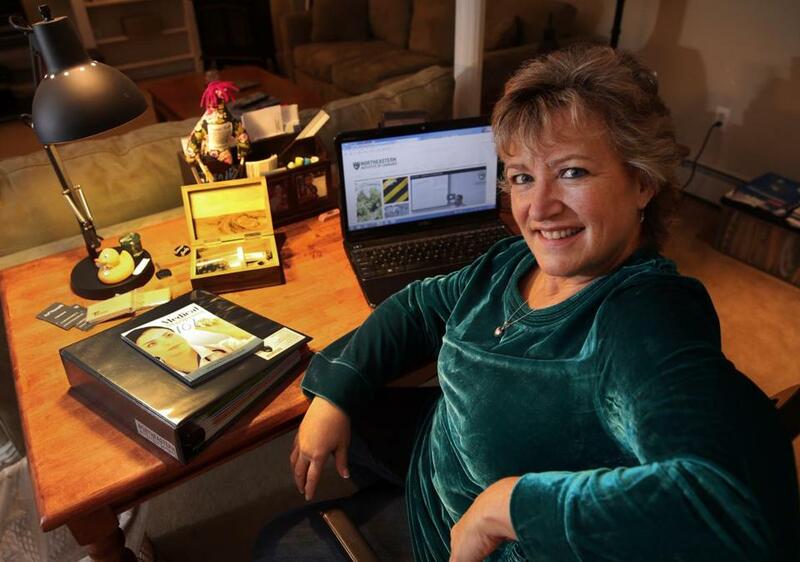 NATICK — Jeanne Ficcardi-Sauro was watching television this summer when she saw a story about a trade school for a fast-growing field that promised plenty of job opportunities. She couldn’t wait to enroll. 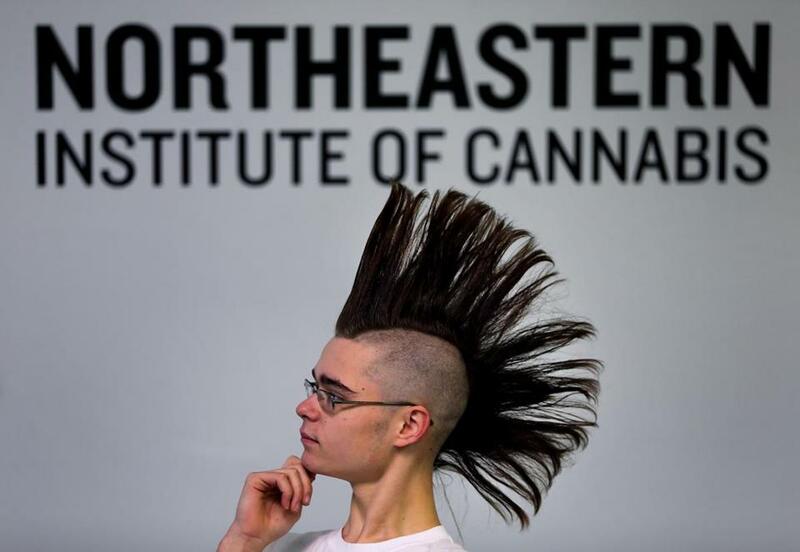 Ficcardi-Sauro, of Franklin, became one of the first students at the new Northeastern Institute of Cannabis, or NIC. It’s a two-classroom school in an office park that prepares people for positions ranging from dispensary workers to medical marijuana educators. In advance of the expected opening of the first Massachusetts dispensaries next year, the for-profit NIC has graduated about 12 students and has 64 more enrolled. Keith Saunders, a sociology professor who oversees the curriculum at NIC, said help-wanted ads for medical marijuana workers already are appearing on the jobs website Monster.com. He figures each of the state’s 15 provisionally approved dispensaries will immediately need 35 to 40 workers, and then continue to hire. “When [dispensaries] roll out, it will happen quickly,” he said. The institute is not the only school of its kind in Massachusetts. The New England Grass Roots Institute in Quincy caters to medical marijuana patients, and the Cannabis Career Institute, a national company, periodically offers marijuana business training sessions in Boston. Although it is difficult to project how many jobs medical marijuana might create statewide, it could be significant, said Amanda Reiman, manager of marijuana law and policy at the Drug Policy Alliance, a drug law reform group with headquarters in New York City. The jobs do not just entail growing and selling marijuana, she said. Think commercial kitchens cooking marijuana-laced foods, manufacturers providing packaging, and marketing firms promoting brands. “There’s all of these ancillary businesses that are involved in the industry,” Reiman said. The curriculum at Northeastern Institute of Cannabis is based on discussions with dispensary operators in other states — including California, Colorado, Maine, and Rhode Island — producers of cannabis medicine, state legislators, and industry specialists, according to school officials. They have applied for state certification as an occupational trade school. To receive a certificate, students must complete 12 four-hour courses, including medical marijuana 101, which covers the basics of marijuana as a medicine, cannabis law New England, an overview of state marijuana laws, and cannabis cultivation, about the art and science of growing marijuana. (It’s all strictly academic: The school cannot have marijuana on site). Students also must pass a two-hour exam by scoring at least 70 percent on each of 12 sections and 75 percent overall. The cost of the program, which typically takes four to six weeks to complete, will increase to $2,000 from $1,500 on Jan. 1. Students range in age from their 20s to 60s and come from a variety of backgrounds. They include chefs, mechanics, and business owners. Jeanne Ficcardi-Sauro jumped at the chance to enroll in the Northeastern Institute of Cannabis. Ficcardi-Sauro, a 56-year-old mother of two grown children, said she has had difficulty finding full-time employment, so she is giving the medical marijuana industry a try. She also is a cancer patient and smokes marijuana to manage pain and fall asleep. Her goal: to educate and counsel other patients. “It can just help so many people in so many ways,” she said. Another student, Meaghan Chalmers, is on track to earn an associate’s degree in business administration from North Shore Community College next spring and plans to follow that with bachelor and master’s degrees. With a certificate from NIC, Chalmers, 26, hopes to get a management job at a dispensary. Chalmers recalled her parents’ reaction when she told them she was enrolling at NIC. “So it’s like weed school?” her father said. The school has amenities found at other trade schools and community colleges, including a student lounge, movie nights, and a store that sells T-shirts and sweatshirts emblazoned with the NIC logo. 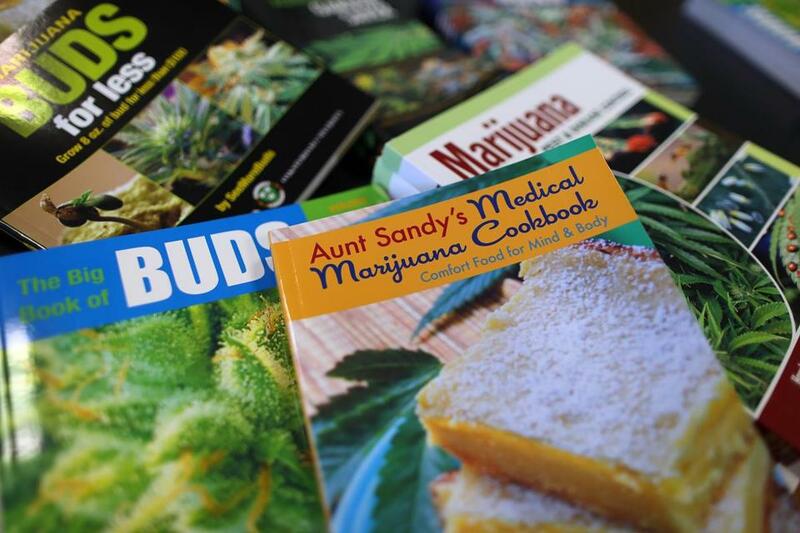 Along with textbooks, students can buy medical marijuana cookbooks, vaporizers, and glass pipes. Mickey Martin, a longtime advocate for reform of marijuana laws, founded the school earlier this year. He said the school plans to host its first job fair in March. Launching the school posed several challenges, said Martin, who is from Oakland, Calif. It took months to find a location because landlords were reluctant to rent to a school specializing in marijuana, which is still illegal under federal law. The school’s insurance rates are double that of an average trade school, and the school’s bank account was canceled. Still, Martin said, he has recruited high-quality faculty and administrators. Saunders, who developed the school’s curriculum, has taught drug policy courses at Northeastern University and the University of Massachusetts Lowell. Bill Downing, a longtime business owner and activist for marijuana law reform, teaches classes in business management and the history of marijuana. Uma Dhanabalan, who teaches the medical marijuana 101 course, has a medical degree, is a fellow of the American Academy of Family Physicians, and holds a master’s in public health from Harvard University. Dhanabalan said it was not until later in her career that she learned marijuana could help relieve chronic pain, nausea, and migraines, as well as treat diseases such as glaucoma. When she was asked to teach at the school, she said, it was easy to say yes. “This is history in the making,” she said. Daniel Epstein, a NIC student, said he is impressed with the quality of instructors and hopes to work in management at a dispensary. Epstein, 33, of Hyde Park, is also an advocate for the drug. As a teenager, he used marijuana after undergoing two brain surgeries to help with his recoveries. Epstein, who works part-time at the school enrolling students, said he never thought medical marijuana would get so far. Some of the books on sale at the school’s bookstore. @gmail.com. Follow her on Twitter @klandergan.